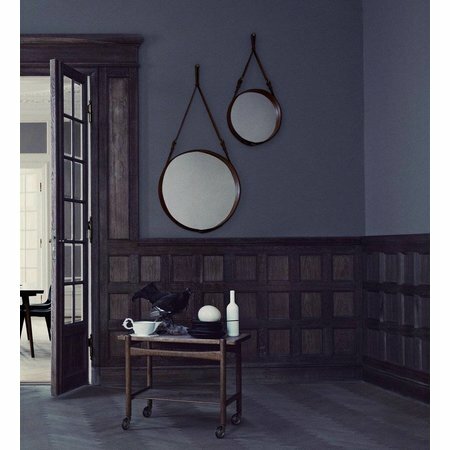 The Adnet is a design mirror by Jacques Adnet. 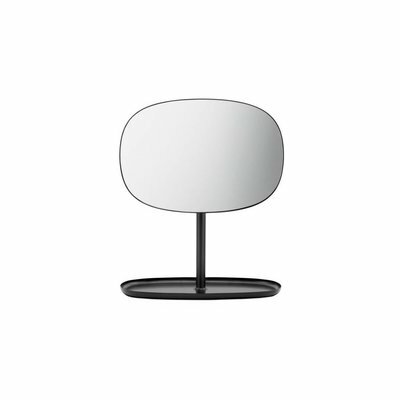 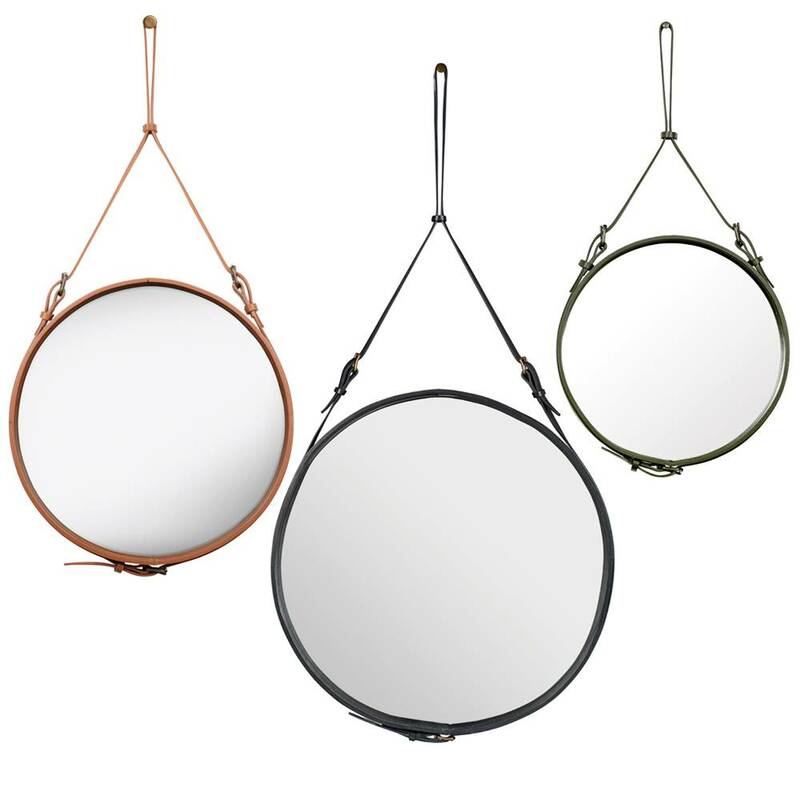 The Adnet Circulaire mirror S from Gubi is a true design icon that is on many people's wish lists. 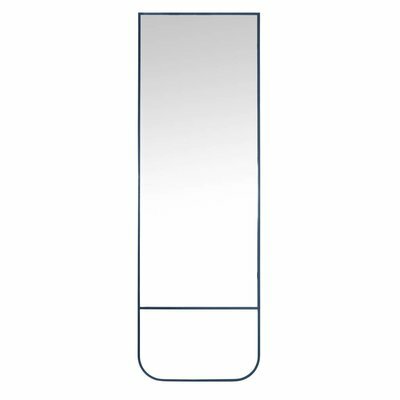 The elegant mirror was designed by Jacques Adnet back in the 1950's when he formed a partnership with a French fashion house. 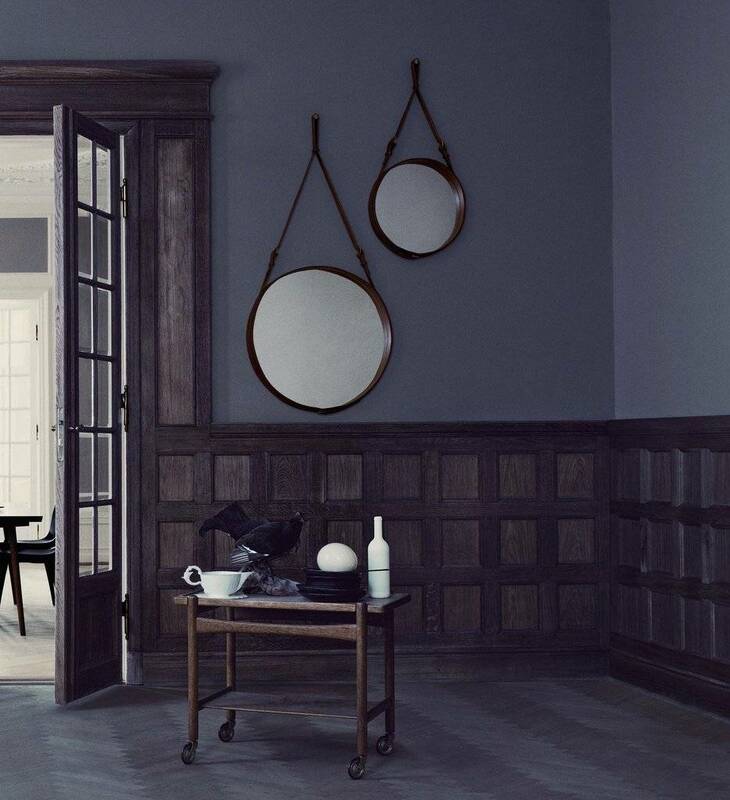 He started to create a collection with leather-covered furniture and interior accessories and it was not long before the unique Adnet mirror was born. 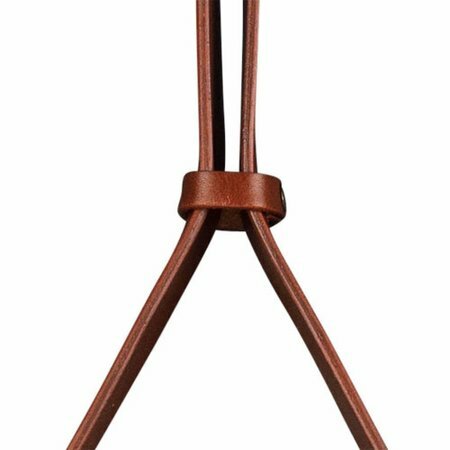 Made of Italian leather with brass hinges, it definitely deserves the best place on your wall! 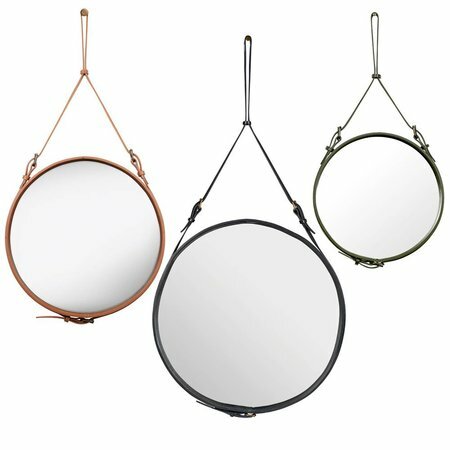 Material: Italian leather, brass, mirror glass. 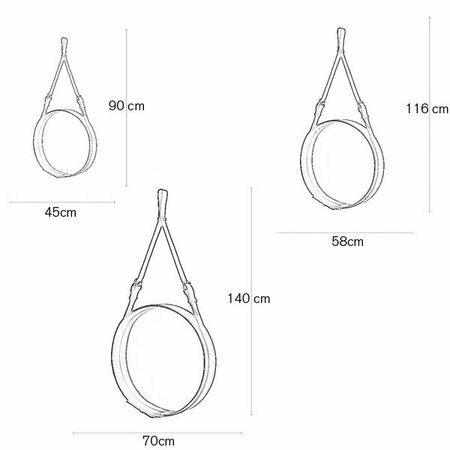 Size-height: 90 cm Ø: 45 cm.